Every year there are special days that call for special gifts. Some of these occasions are to celebrate important milestones like graduations and weddings. Some are annual celebrations like birthdays, Christmas and Valentine’s Day. Others days are to recognize and show appreciation like Mother’s and Father’s day. 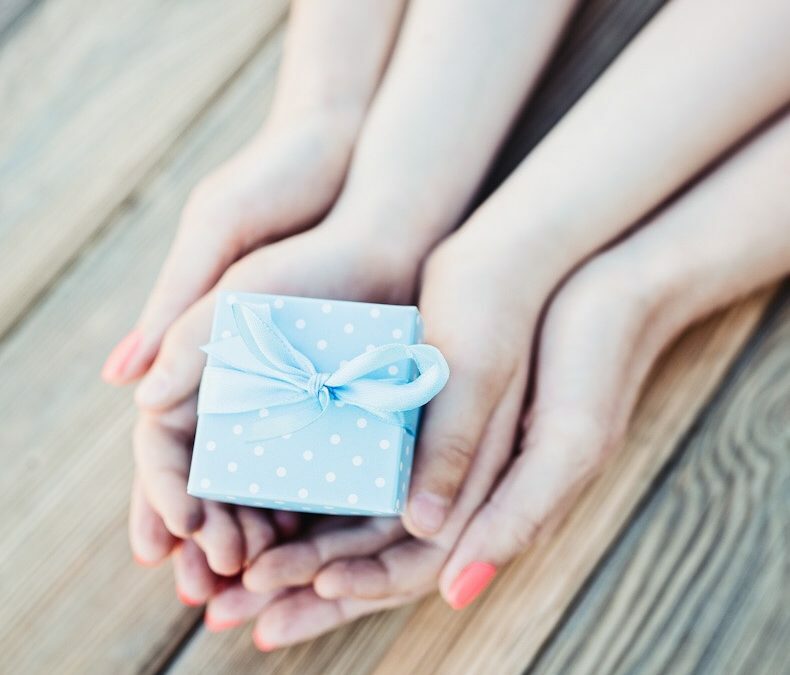 While it’s the thought that counts when it comes to gifts, jewelry is always an option that is well-received, much-appreciated and kept forever. This month on the blog we’re dishing which special occasions go with what jewelry in our Guide to Gift Giving. •Graduation – High school or college graduations are significant in terms of achievement. Congratulating such an accomplishment with a considerable piece like a watch is fitting for both men and women. We also consider pearl jewelry an appropriate gift as it symbolizes adulthood. •Wedding – Weddings are arguably the most important day in a persons life. It’s traditional for the bride and groom to gift each other something meaningful before any vows are made. Personalized cuff links, valets or watch boxes are always a good idea for the husband-to-be, while something more dainty and elegant, like a pair of diamond earrings or a diamond necklace may be more appropriate for the bride. •Baby birth – After nine months of hard work, her tiny bundle of joy has arrived. What better way to honor the new mom for her sacrifice than with a gift, something referred to as a “push gift.” The traditional push gift is a pair of diamond studs, however in more recent times we’ve seen family rings, birthstone pendants representing mom, dad and baby, even stackable rings make thoughtful gifts. •Birthday – Birthdays happen once a year, and who doesn’t like to be celebrated on their special day? Birthstone jewelry — rings, necklaces, earrings, bracelets, etc — are our recommendation when it comes to finding that perfect birthday gift. •Anniversary – Anniversaries should never be forgotten. Upon taking time to reflect on the vows you made to your significant other, get your special someone a three-stone diamond ring to celebrate your past, present and future together. •Christmas – Christmas is one of those occasions that any and all types of sparkle is welcome. We’ve got no recommendations here — hoop earrings, diamond tennis bracelet, diamond studs, monogrammed cuff links, stackable rings, gold or silver chains — everything works. •Valentine’s Day – Valentine’s Day is not the time to be subtle about your love. Make your feelings known with heart-themed pendants and infinity symbol-theme rings. •Mother’s Day – Mother’s Day is the time to show mom that she is the heart and soul of the family. What better way to honor her contribution than with a piece of family jewelry. We suggest a ring displaying everyone’s birthstone, or a personalize family tree pendant. •Father’s Day – He’s got no time for ties or socks, Honor Dad on Father’s Day with a watch or monogrammed cuff links. When it comes down to it, there is no right or wrong way to gift jewelry. It truly is the thought that matters. But for those of you who need a little help in deciding on the right kind of sparkle to give someone, we hope our guide becomes of use to you. For any further jewelry questions or concerns, feel free to give us a call or to browse our website for more information. We are true jewelry enthusiasts and would love to help!